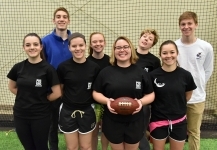 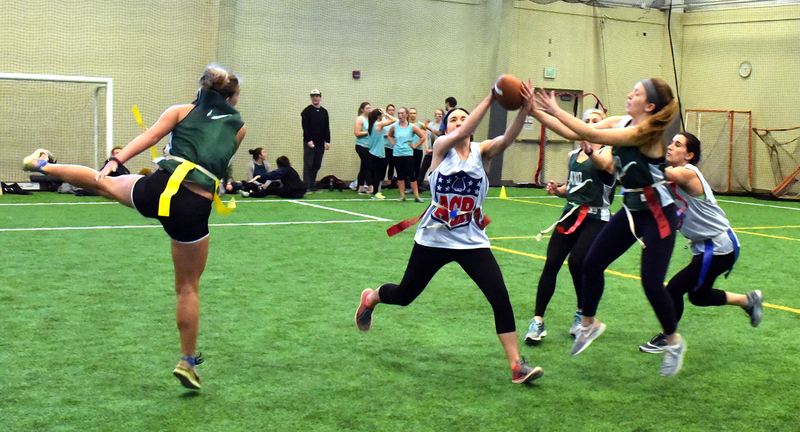 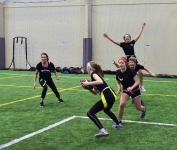 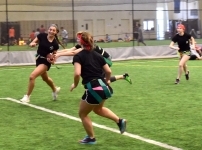 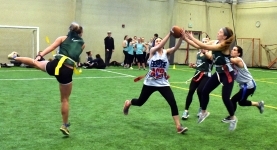 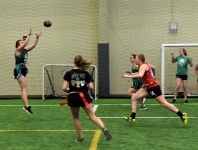 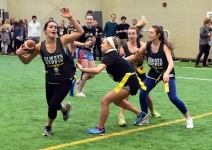 Alpha Chi Omega won the second annual Pi Kappa Phi War of Roses Flag Football Rose Bowl championship on March 3. 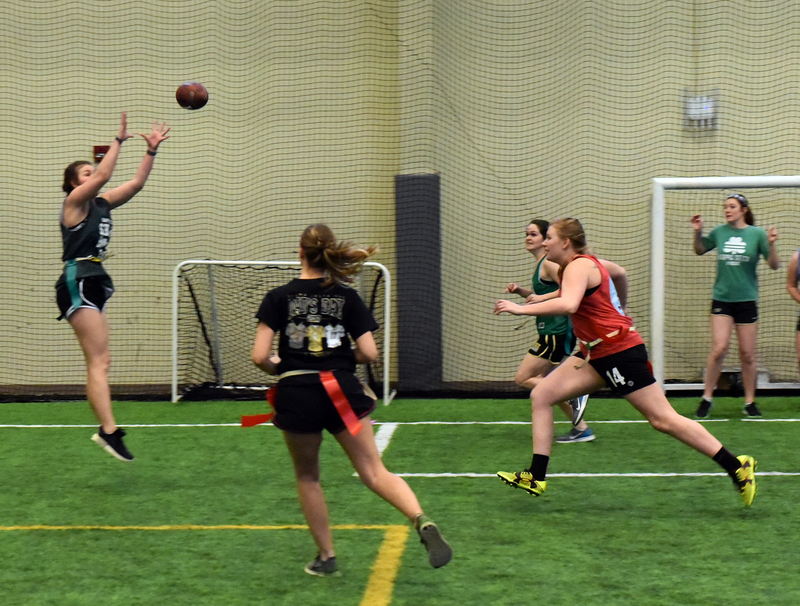 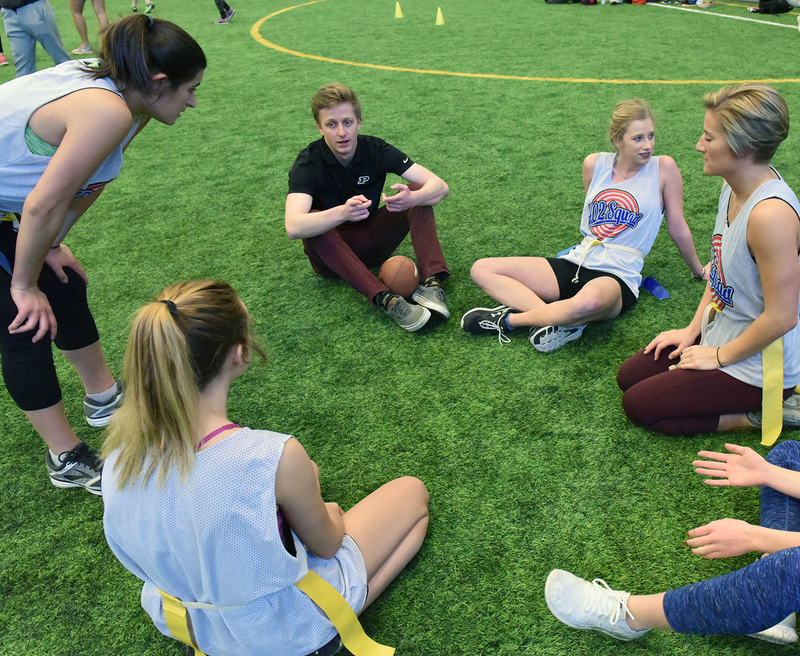 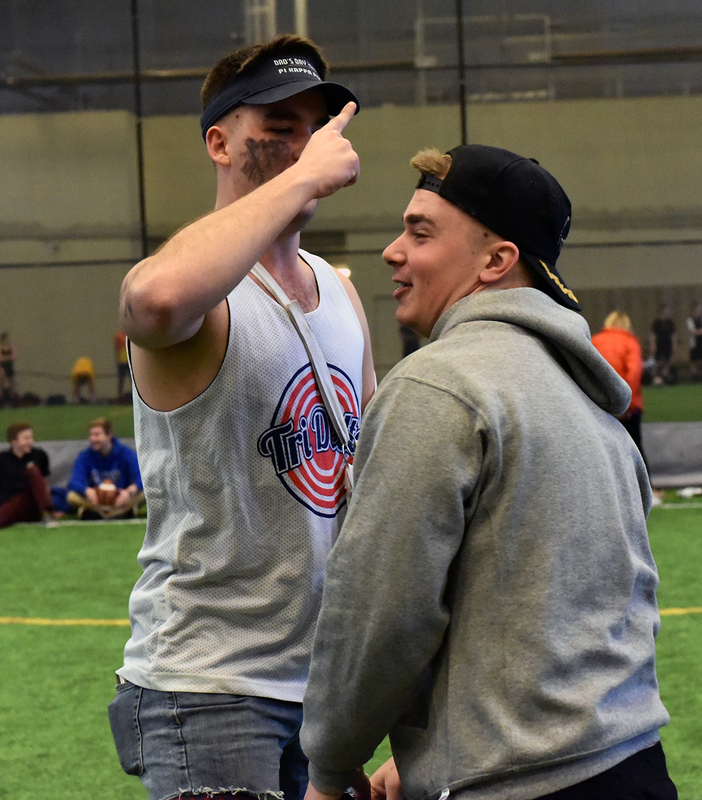 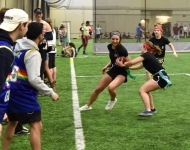 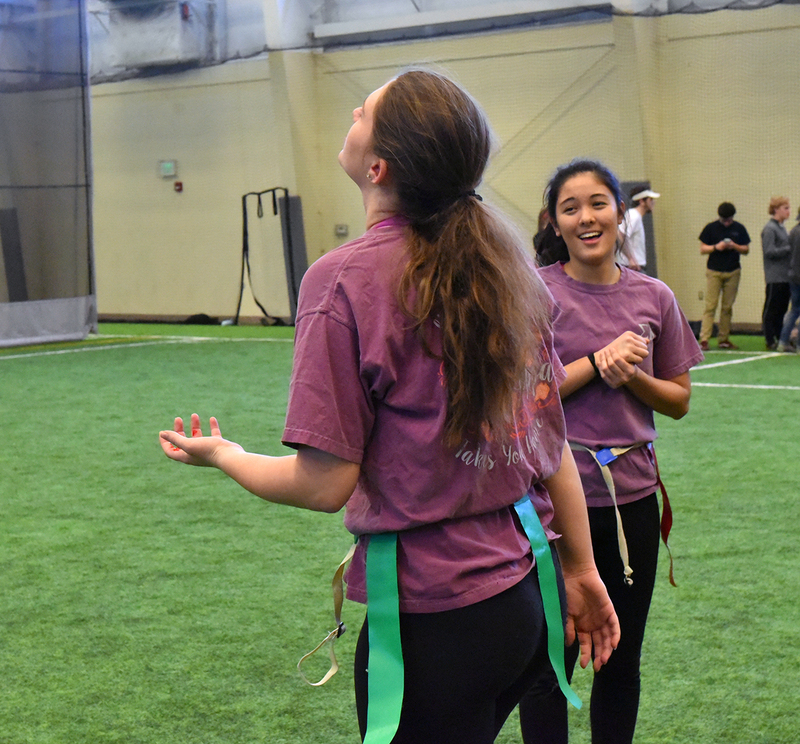 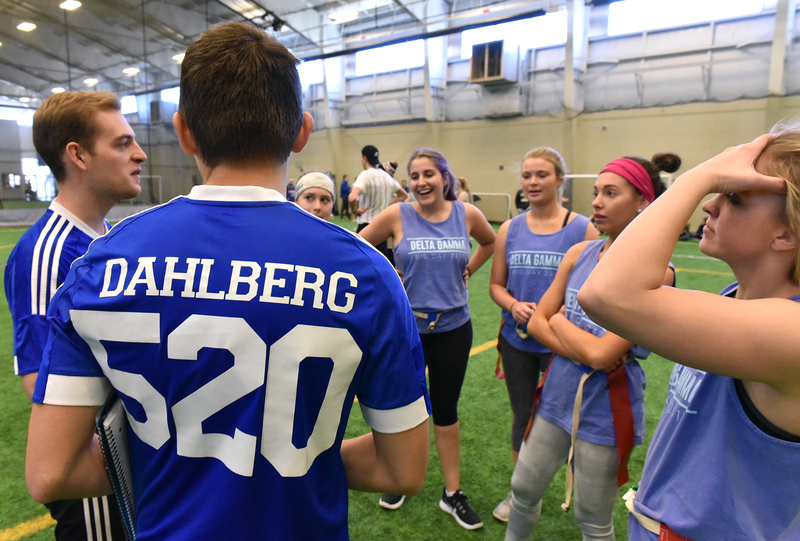 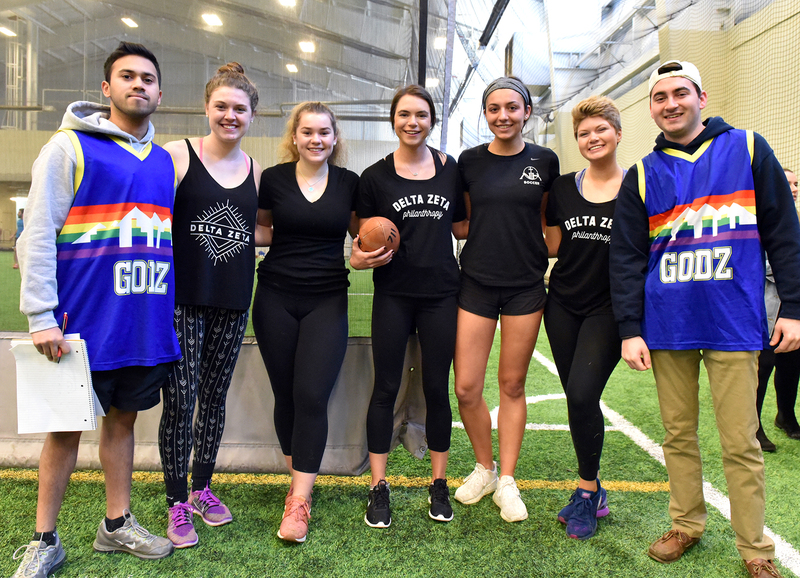 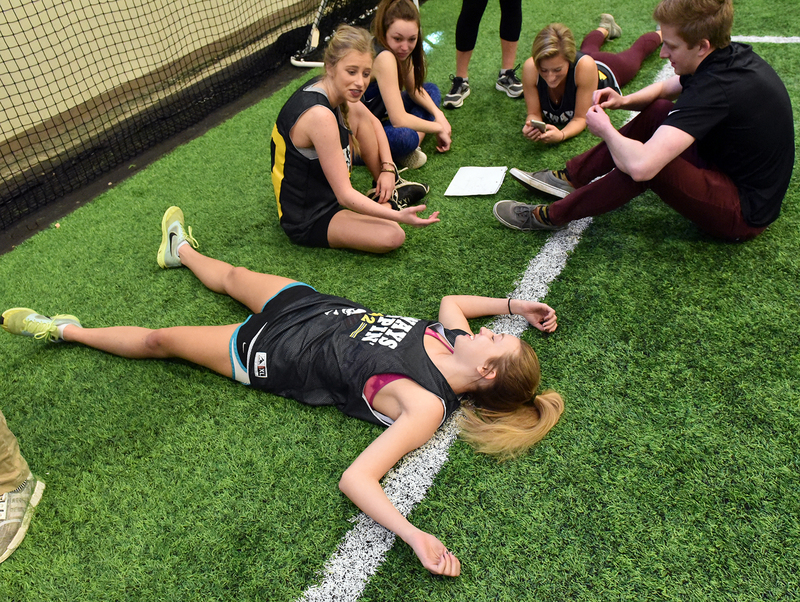 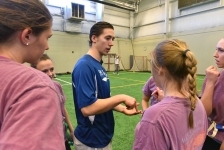 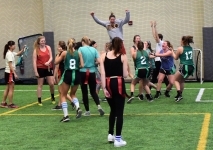 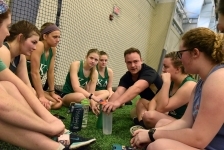 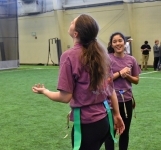 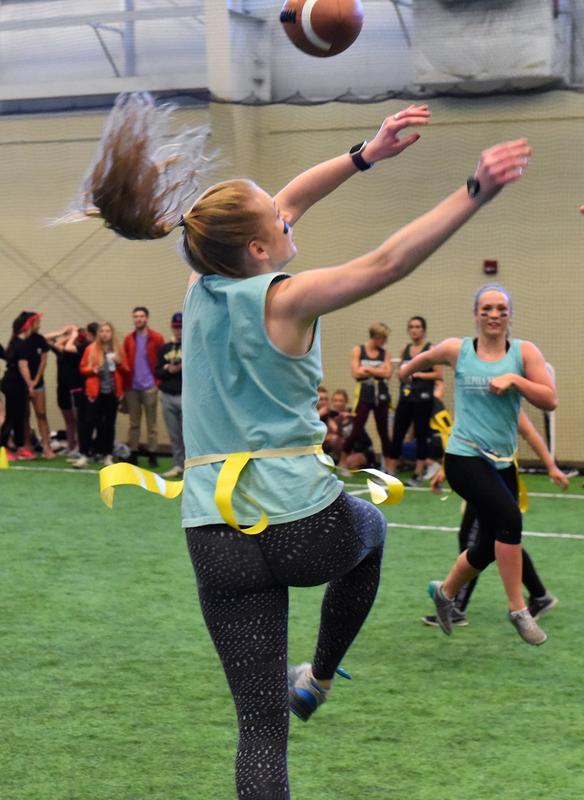 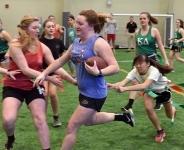 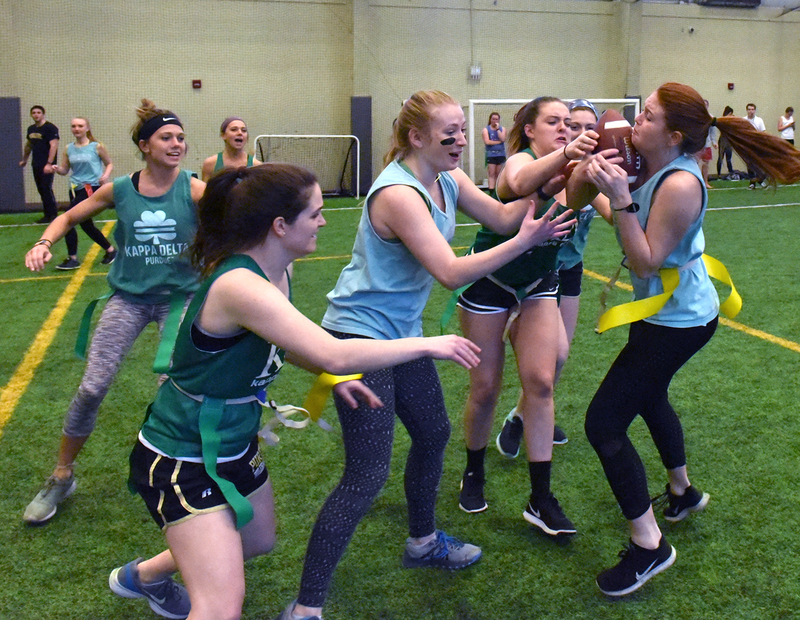 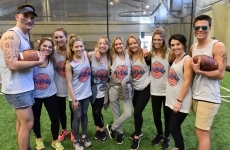 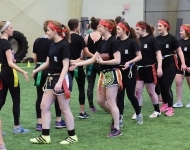 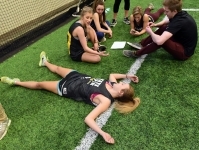 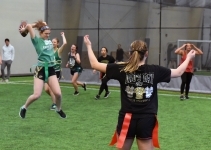 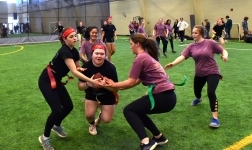 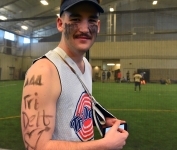 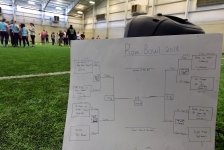 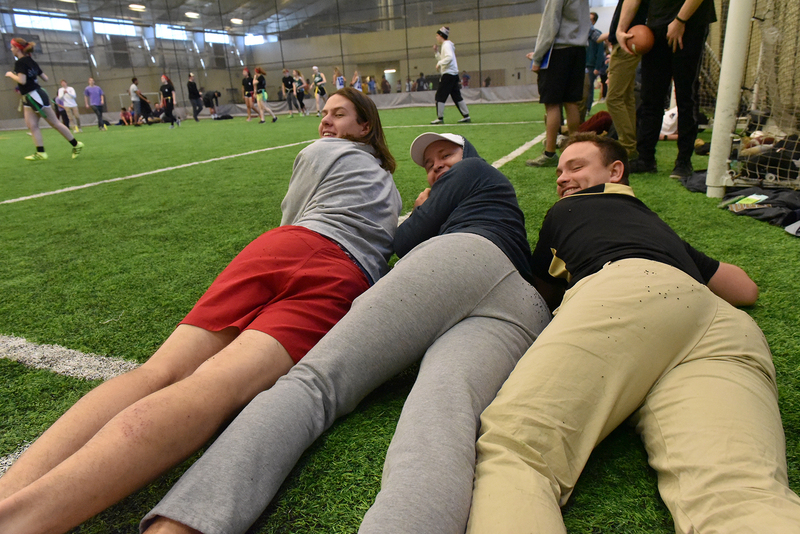 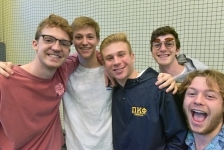 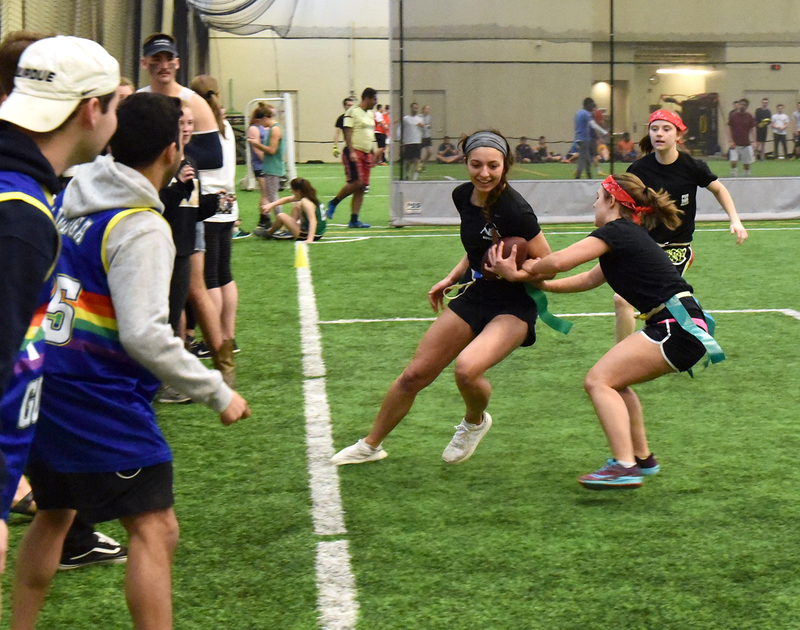 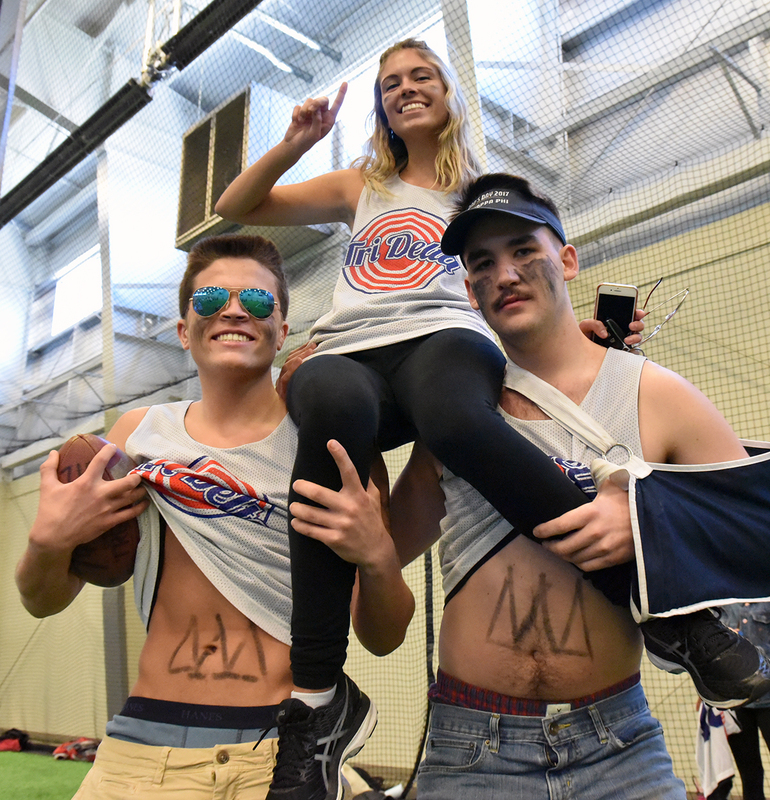 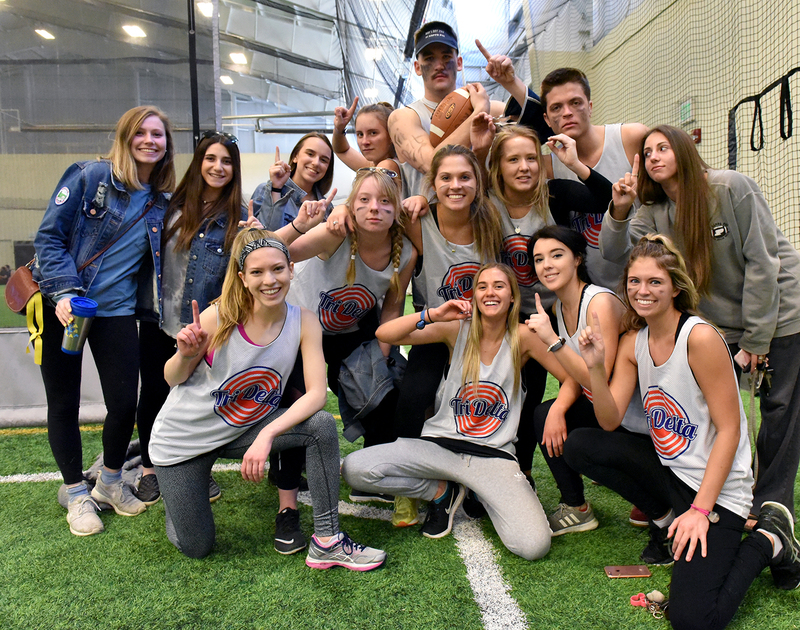 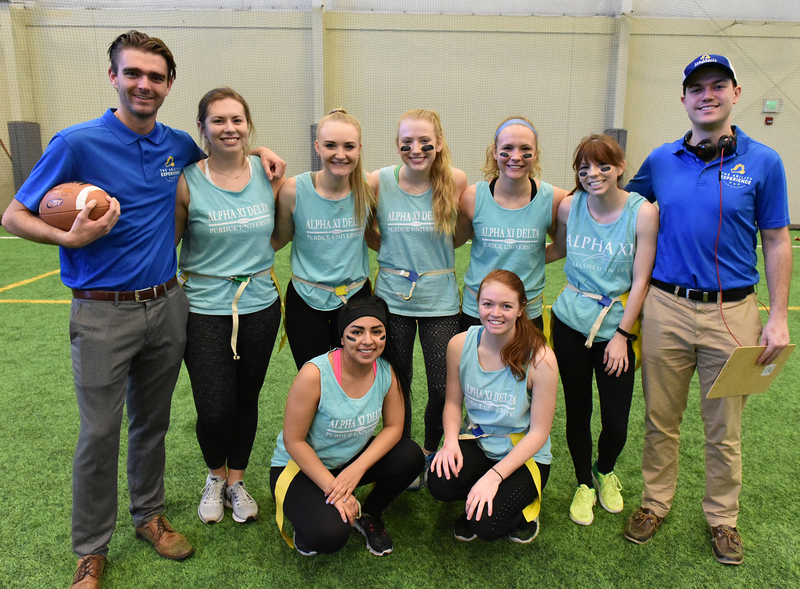 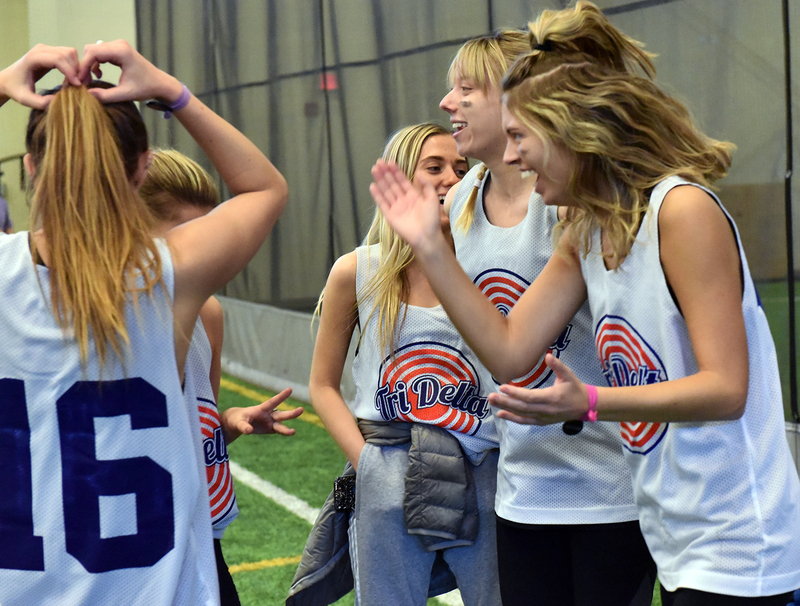 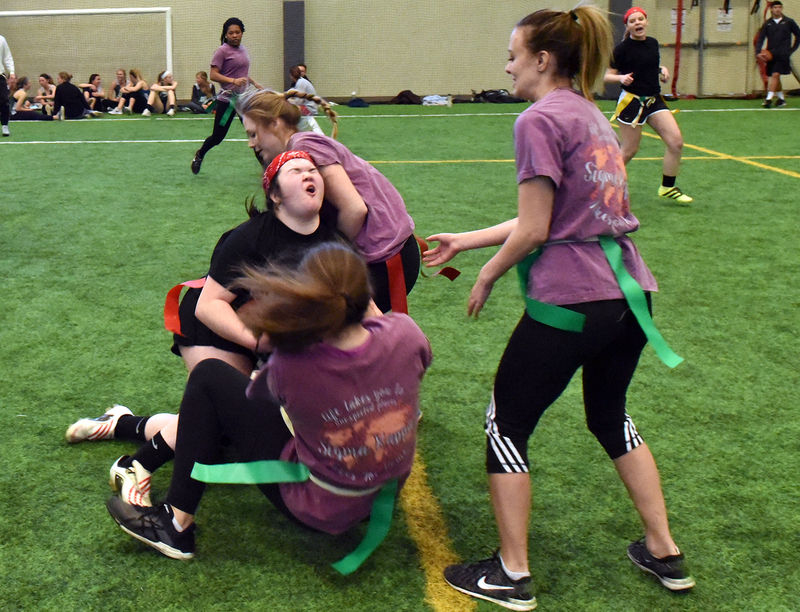 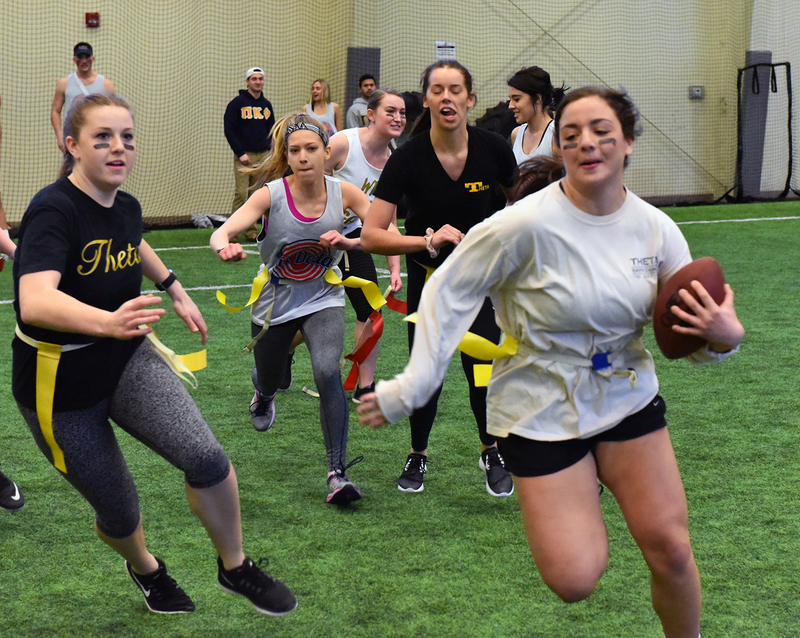 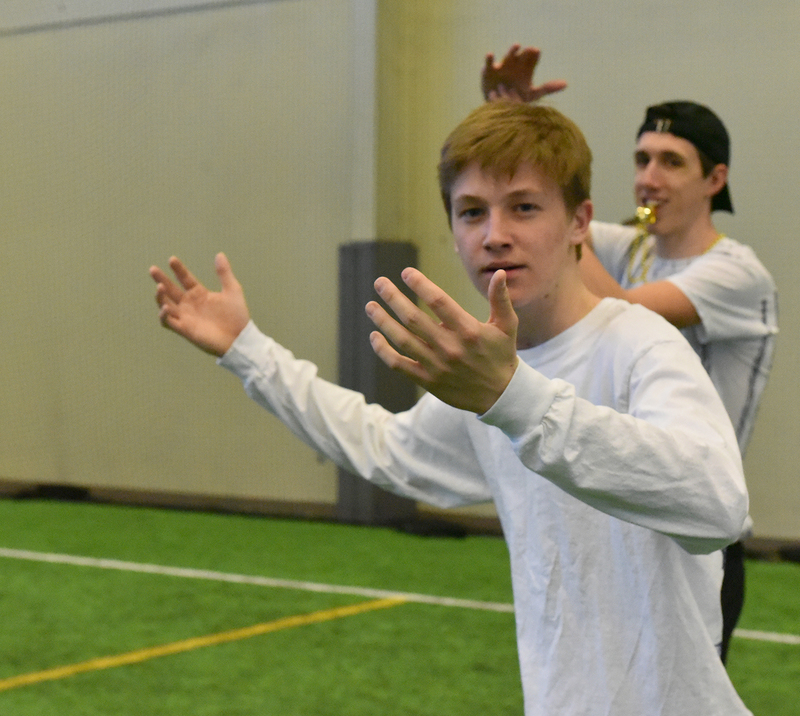 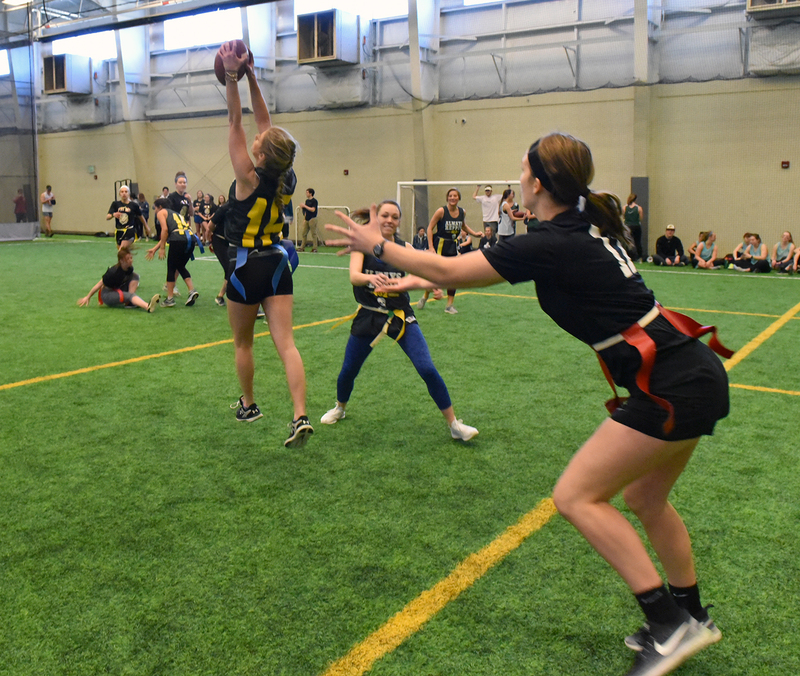 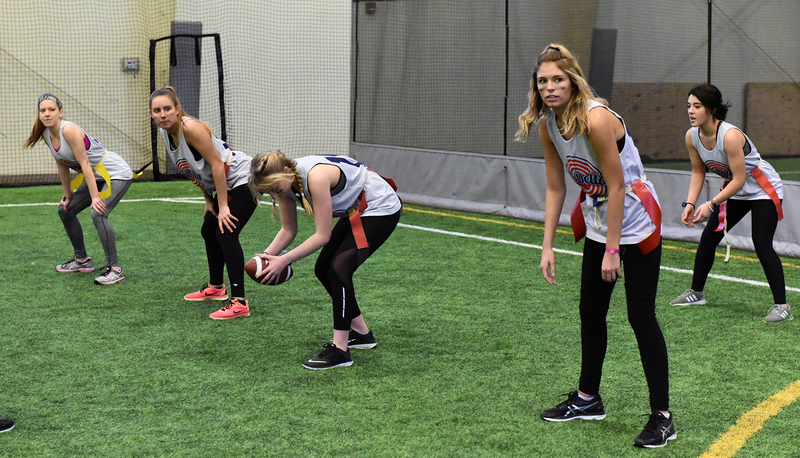 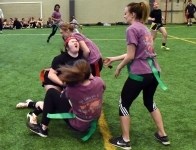 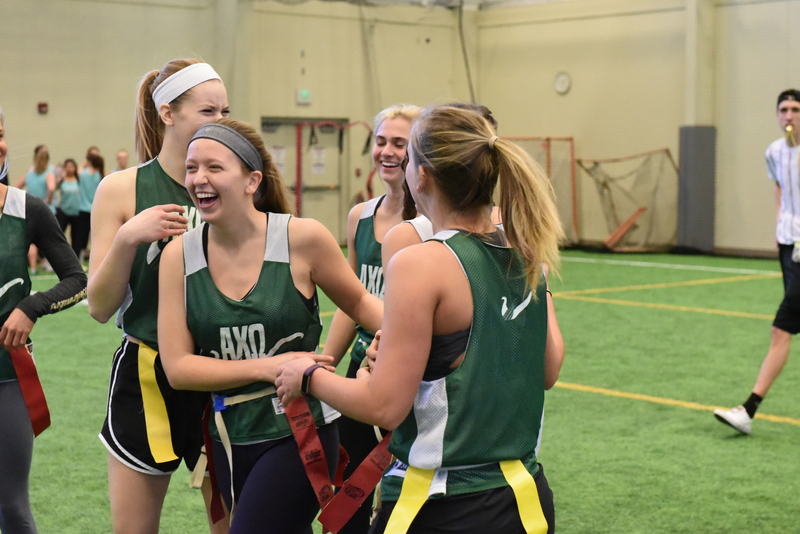 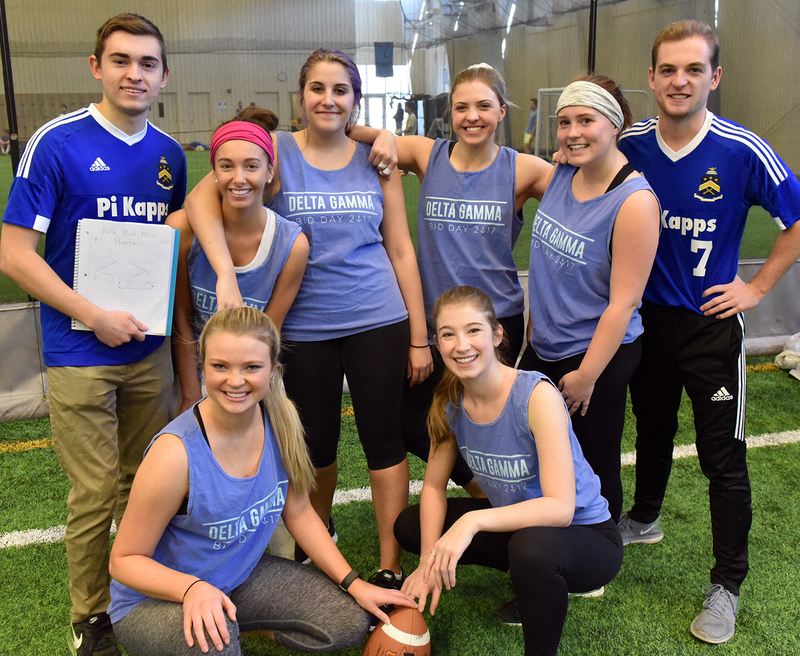 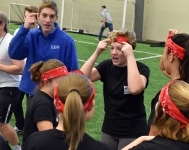 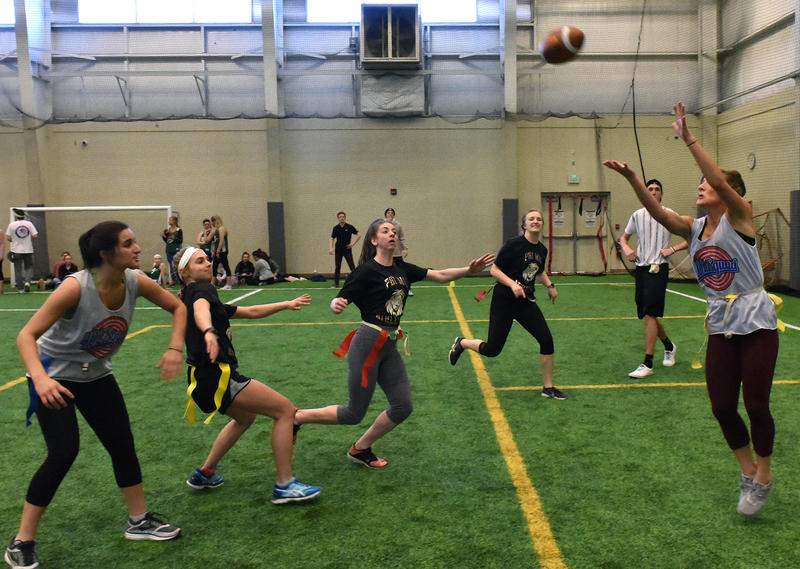 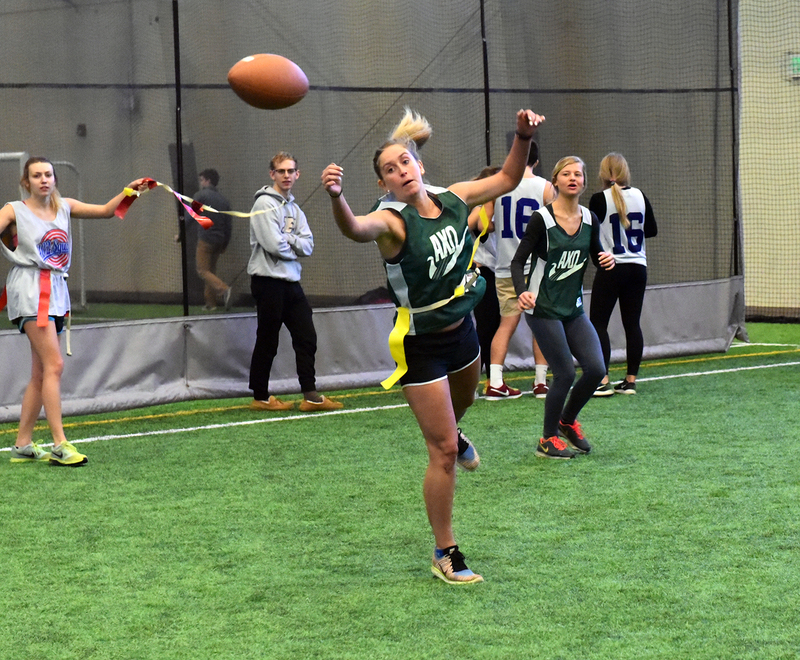 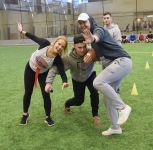 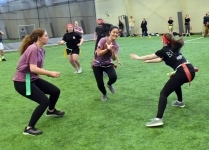 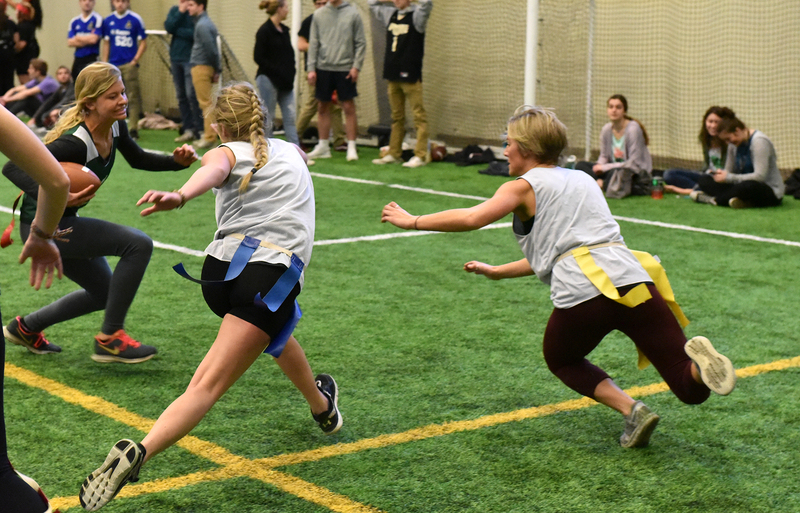 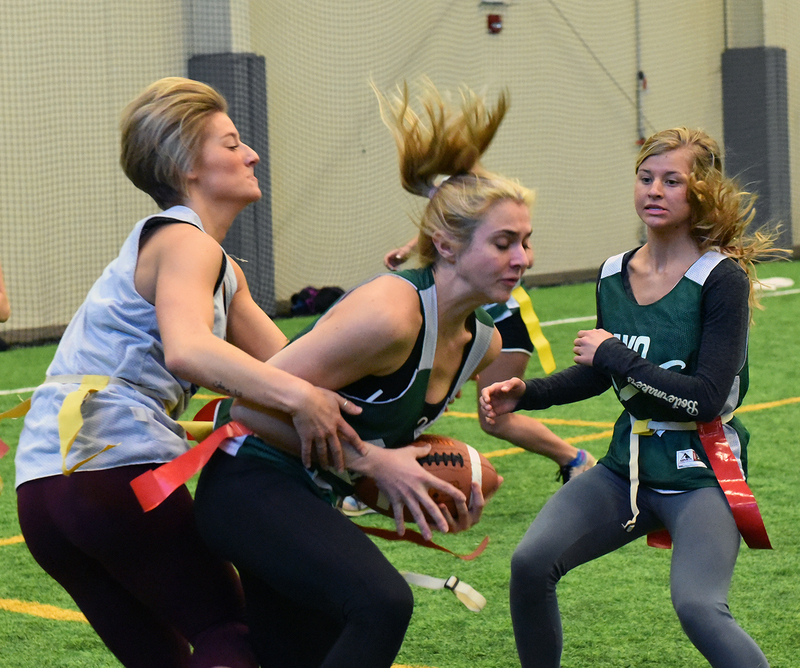 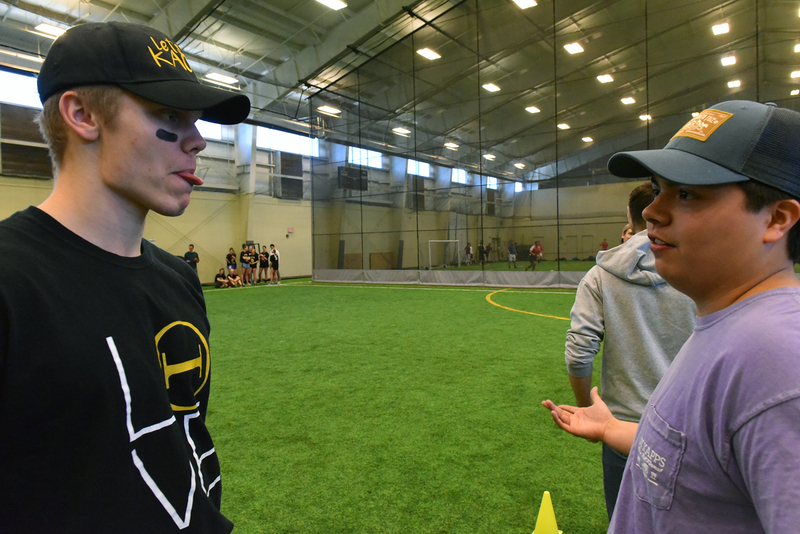 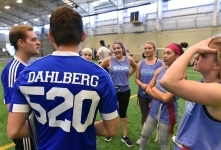 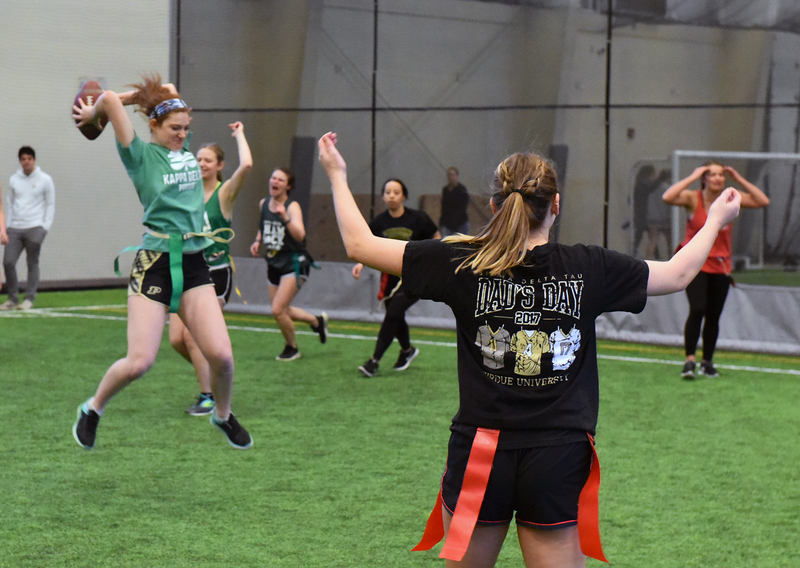 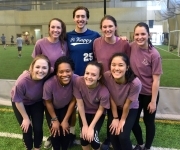 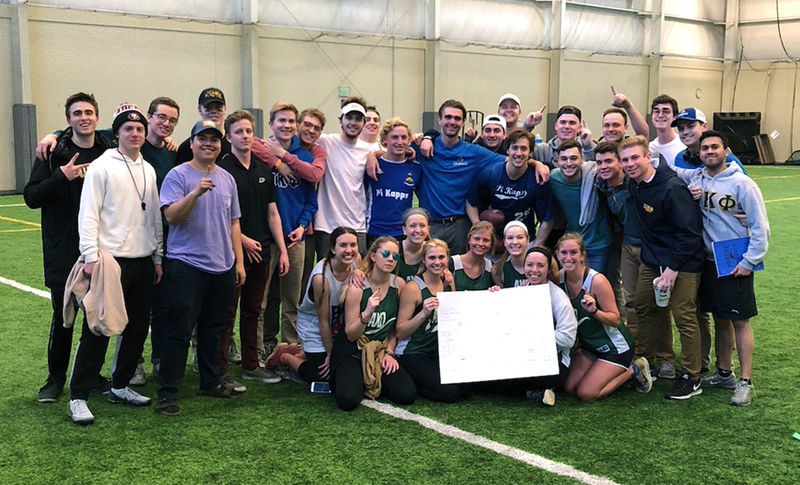 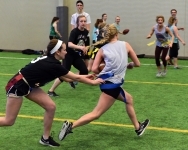 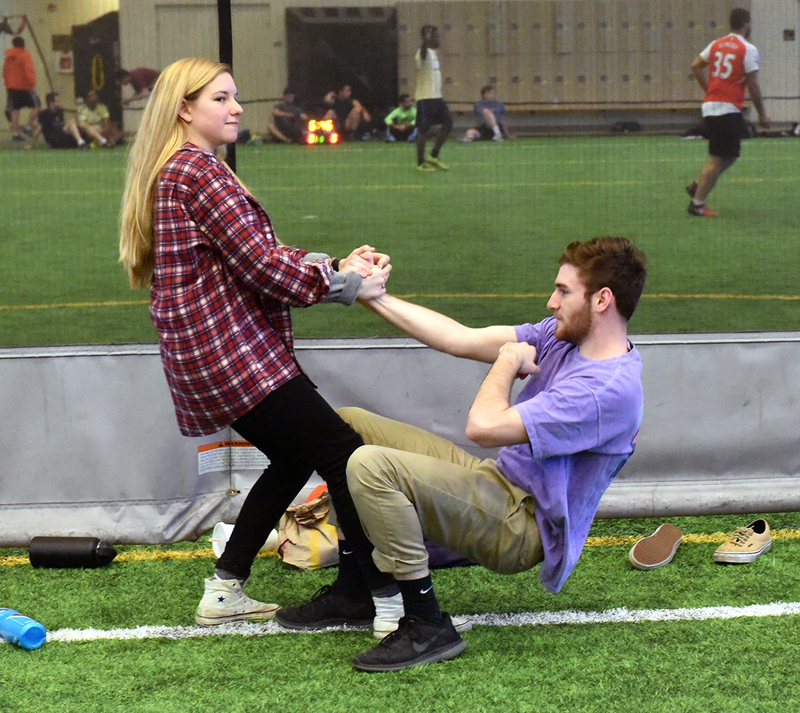 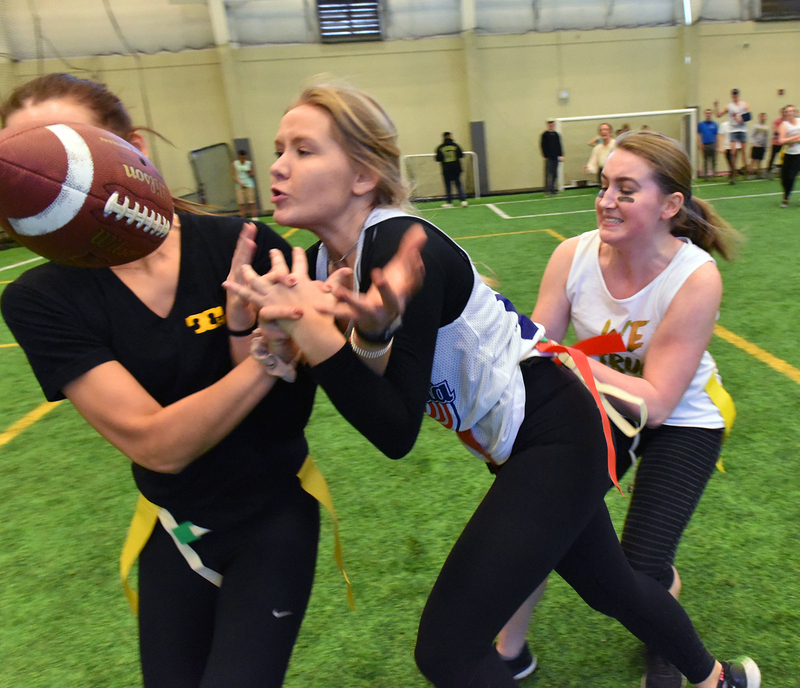 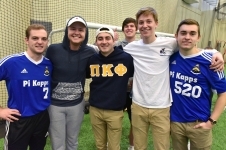 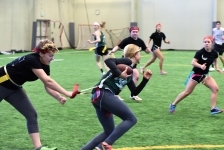 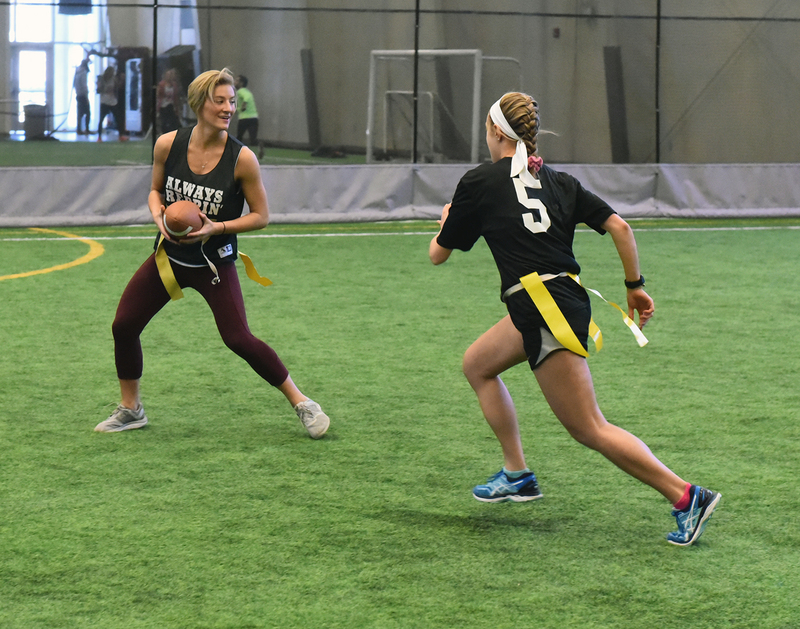 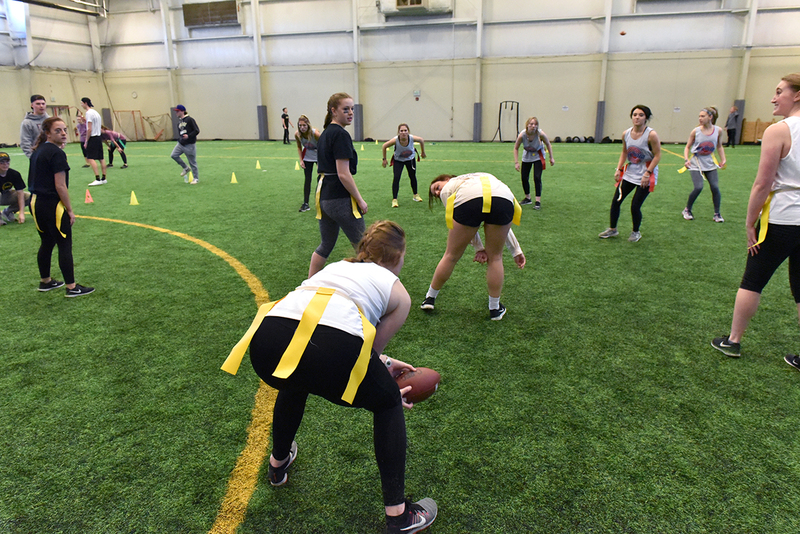 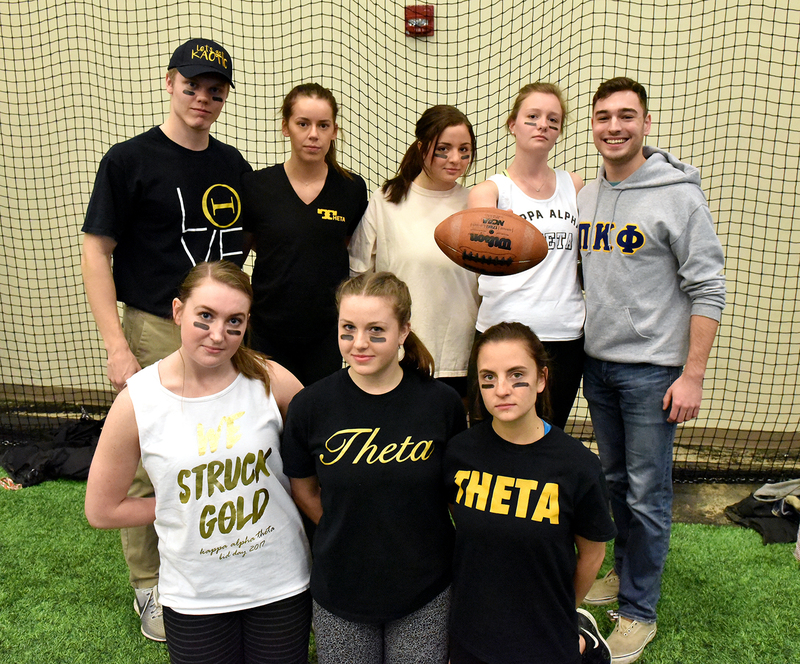 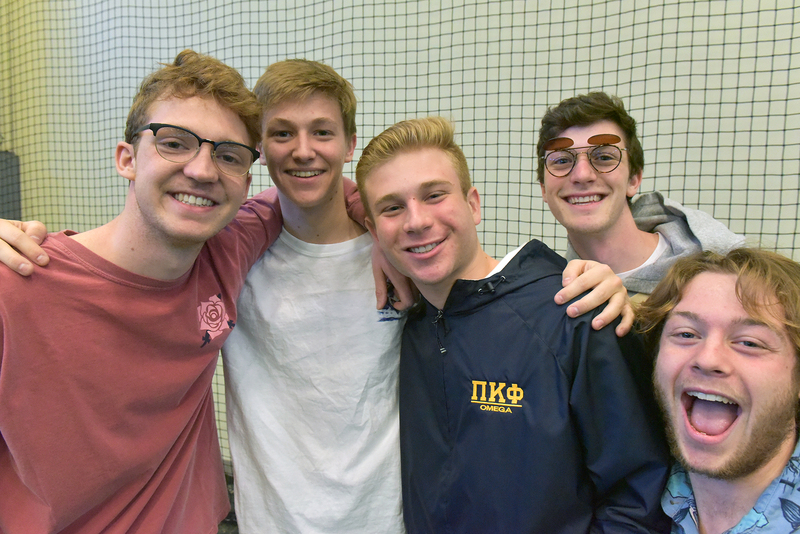 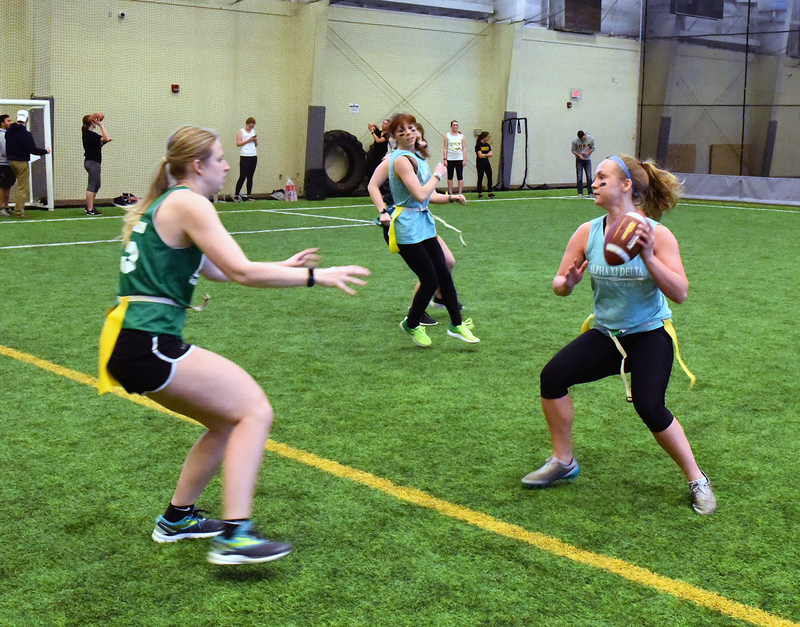 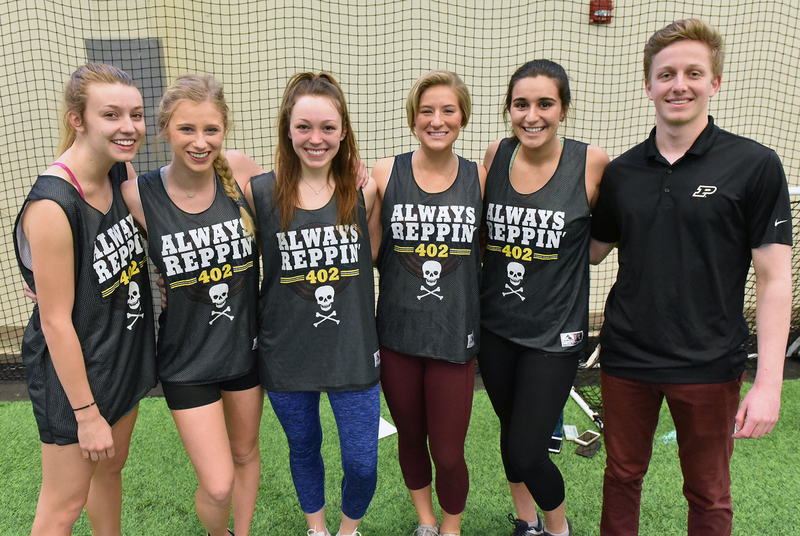 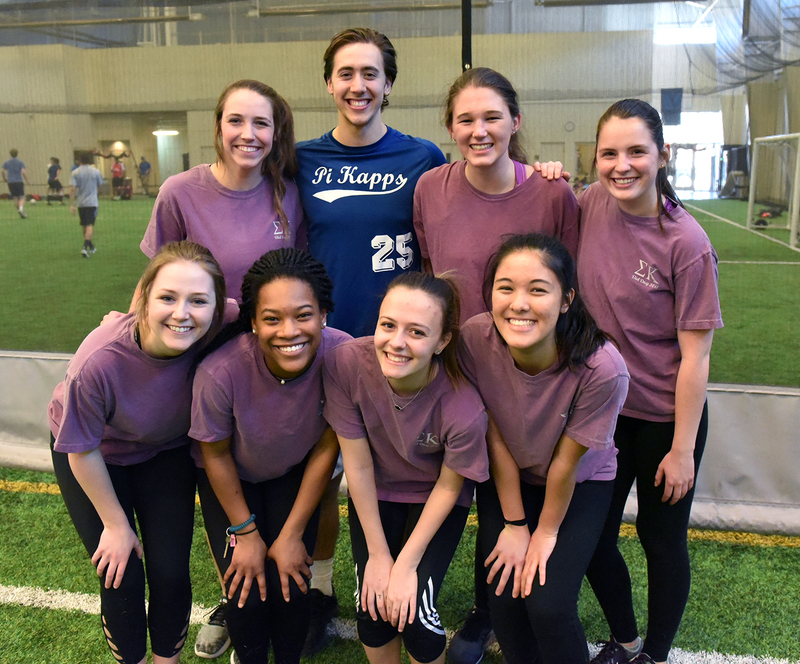 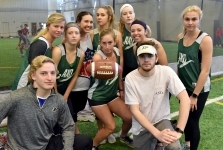 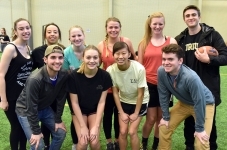 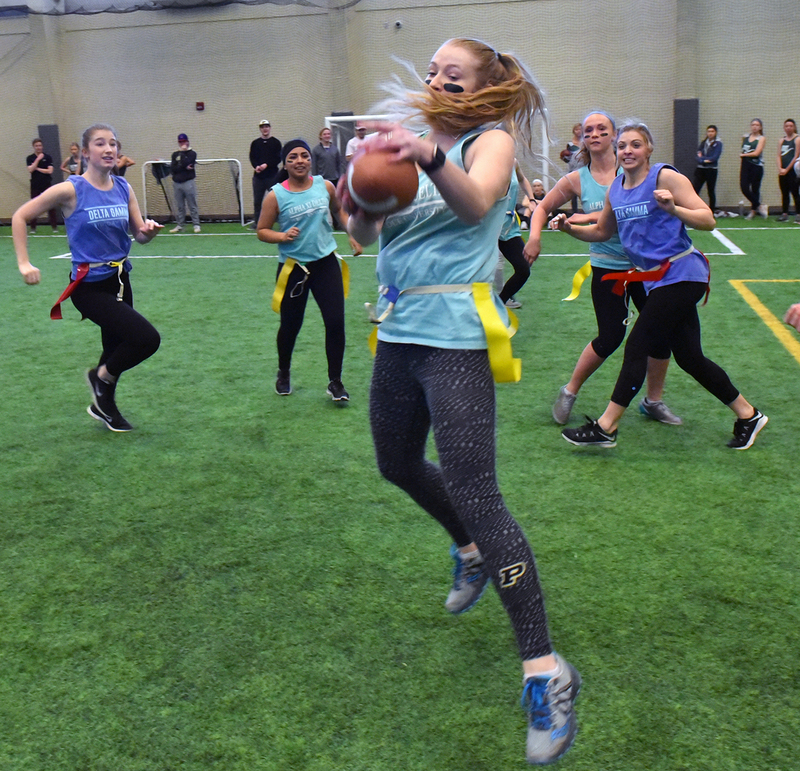 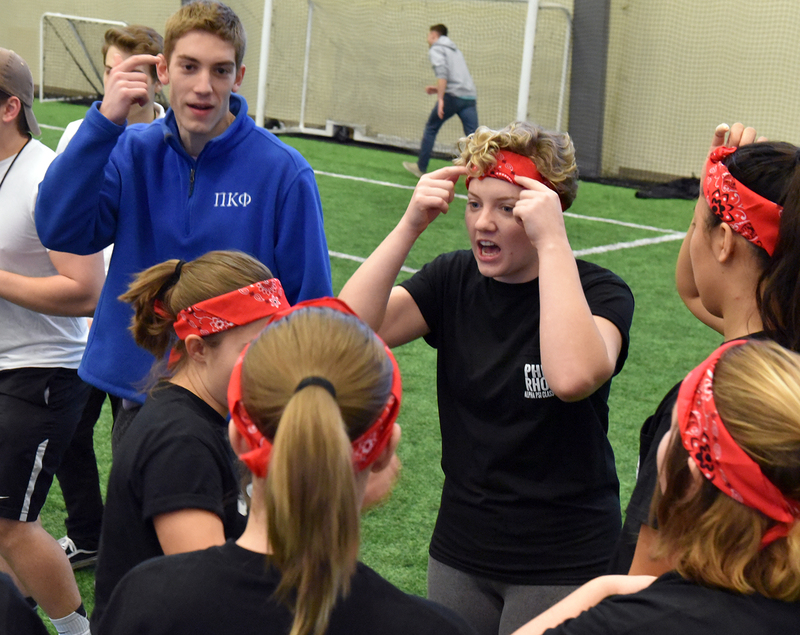 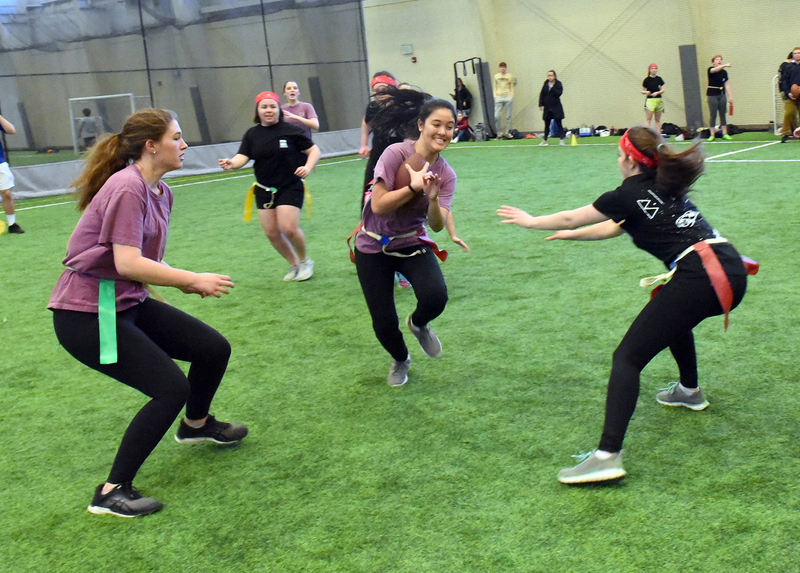 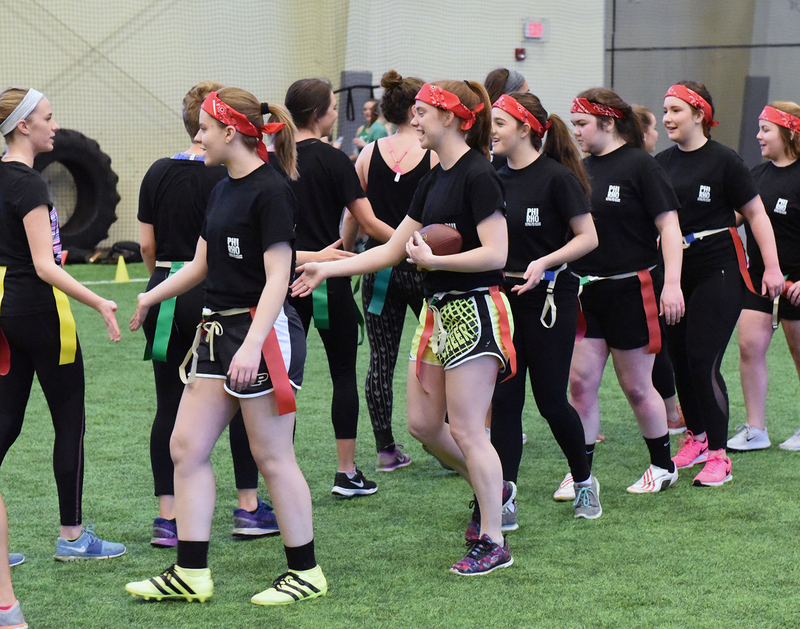 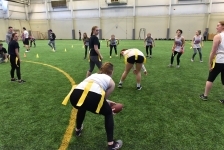 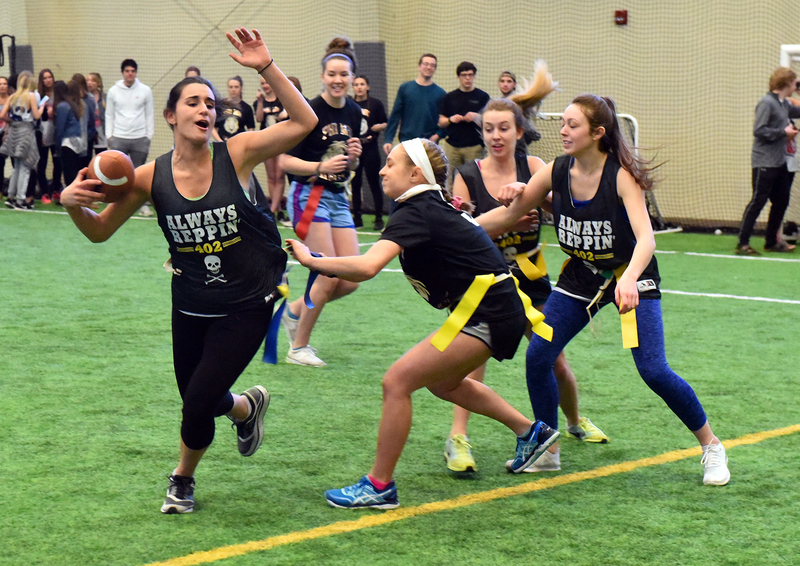 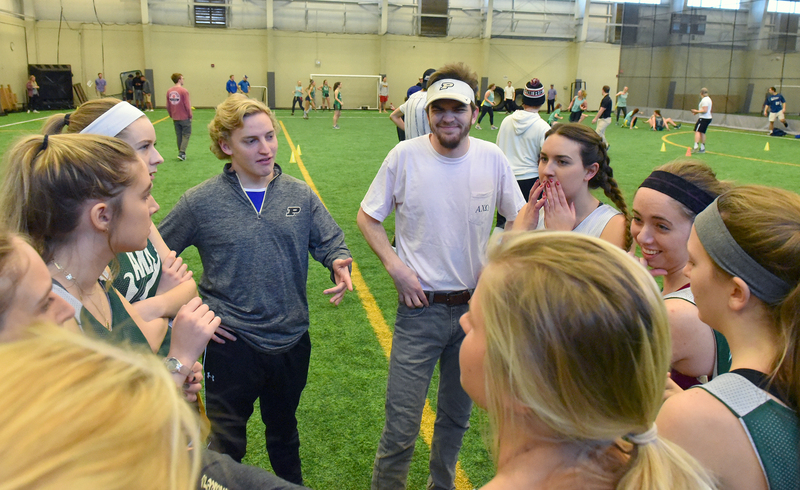 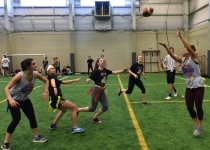 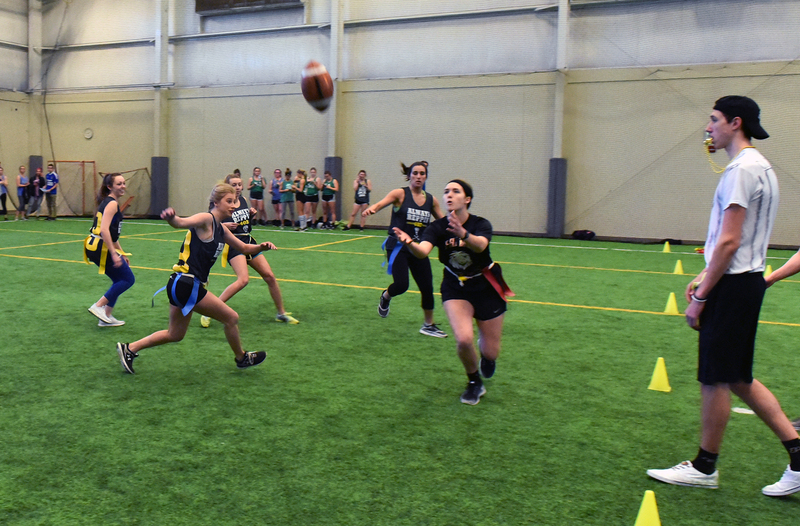 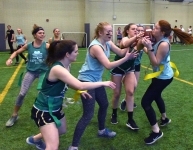 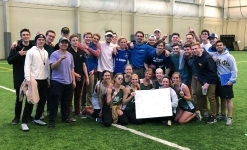 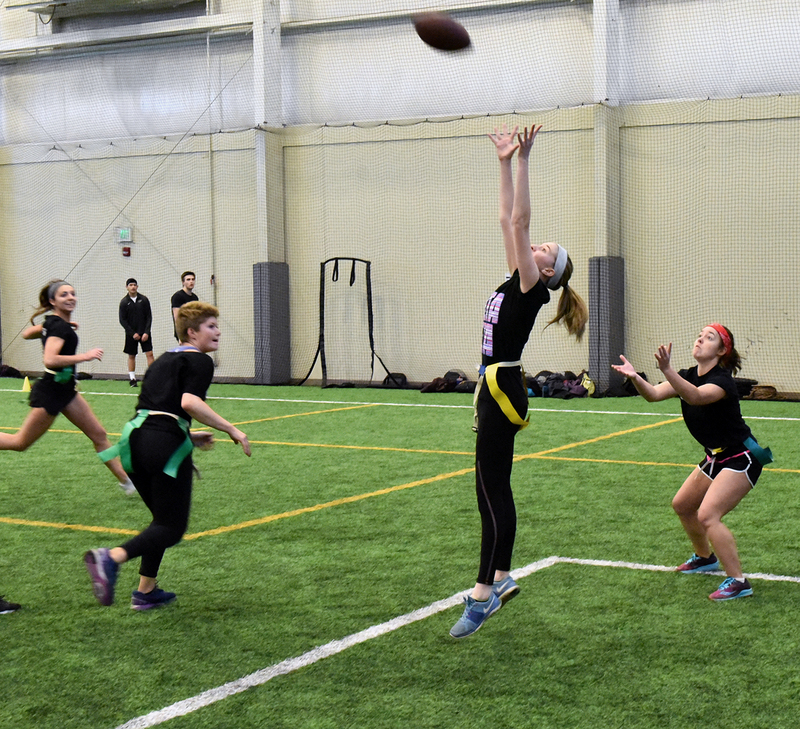 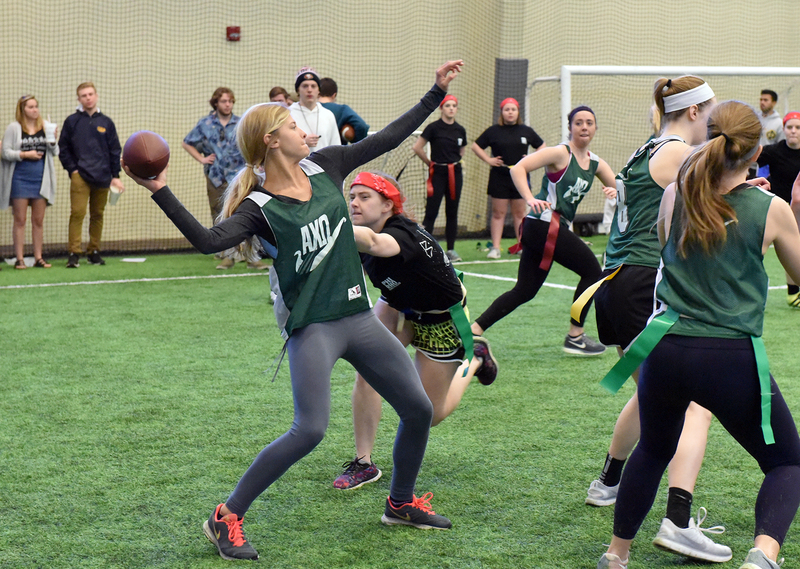 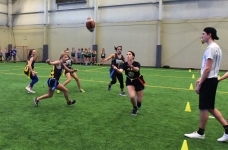 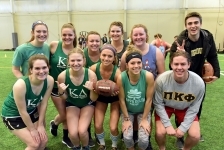 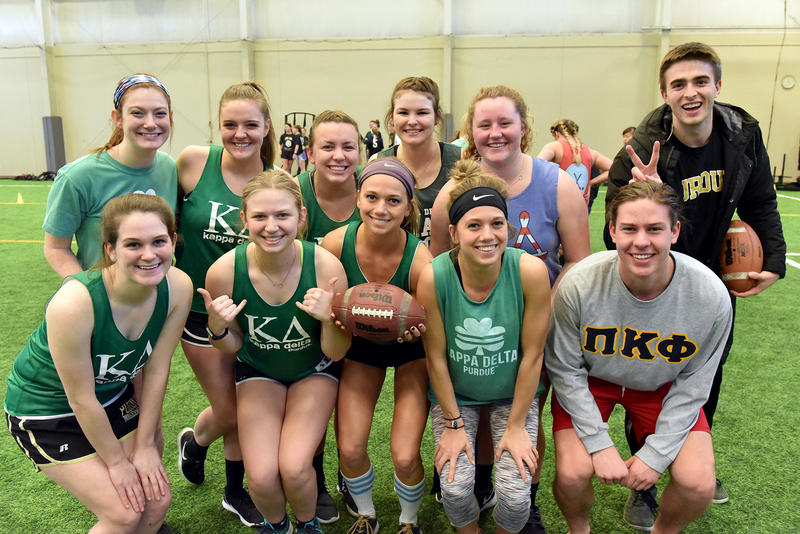 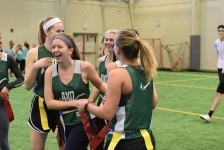 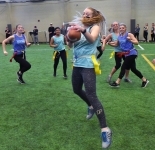 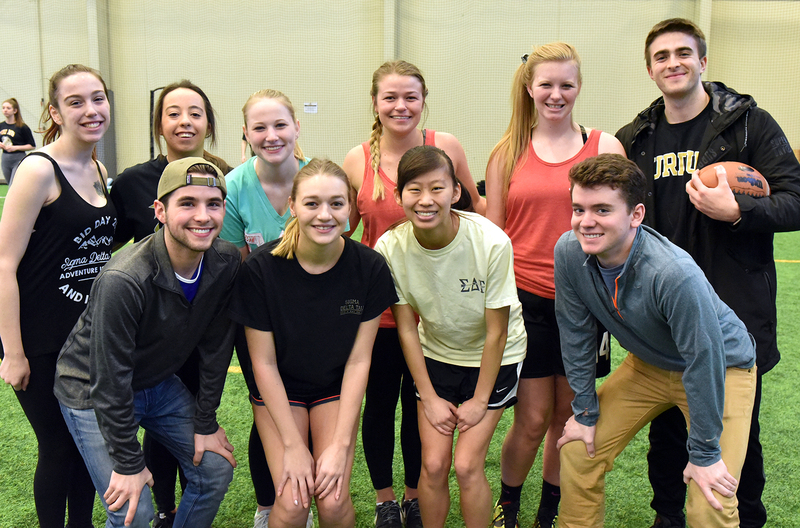 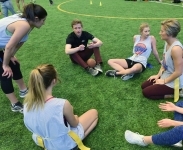 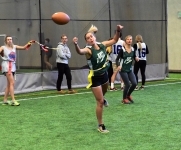 The Alpha Chi team beat Alpha Xi Delta, 7-0, in the championship game from among 14 sororities competing in this year’s multi-week War of Roses competition. 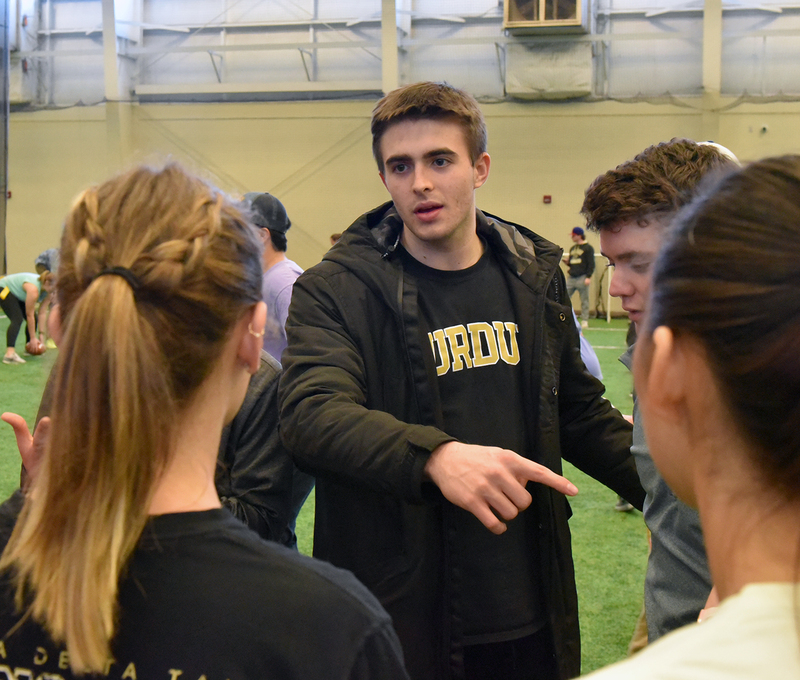 Sorority members have already participated in the Pi Kapp Second Chance Prom, which partners with the Arc of Tippecanoe and Best Buddies-Purdue, held on Feb. 17. 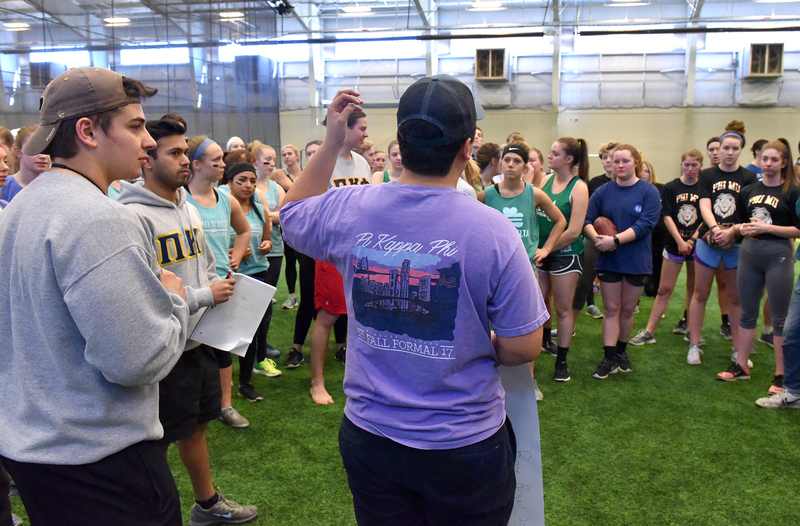 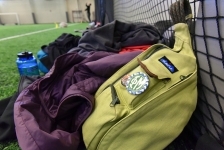 Sororities support their Rose Queen candidate through earning points in various categories, including developing sheet signs, volunteering hours in special needs classes, purchasing t-shirts, ticket sales and a March 22 talent show. 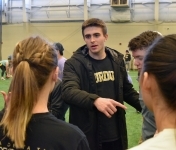 The talent show is the final event and is held in Loeb Playhouse at Purdue. That’s when the 2018 Rose Queen will be named. 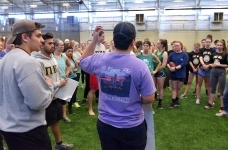 The participating sororities included: Alpha Xi Delta, Alpha Chi Omega, Phi Mu, Phi Sigma Rho, Chi Omega, Delta Gamma, Delta Zeta, Delta Delta Delta, Gamma Phi Beta, Sigma Delta Tau, Sigma Kappa, Kappa Delta, Zeta Tau Alpha, and Kappa Alpha Theta.